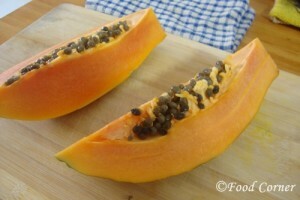 Papaya/(Gaslabu) is a delicious fruit with its sweet and rich taste. 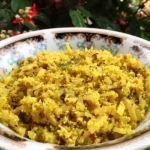 It is not only healthy, but is loaded with antioxidant nutrients , B vitamins, folate and the minerals.This is a popular fruit in Sri Lanka and easily available. I miss that real taste of Sri Lankan Papaya,which is so creamy and sweet! Unfortunately I have to add sugar or any sweetener to get that taste on my papaya juice here.If you visit Sri Lanka,dont forget to try some Papaya!Sure you would love it! 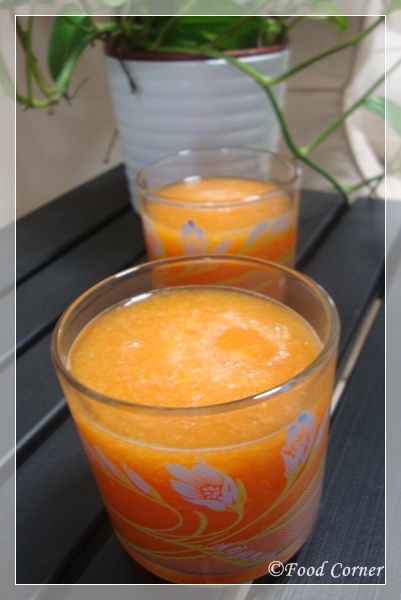 This is a simple drink recipe with papaya & good as a summer treat.Lime adds flavour to it which cannot resist.Recently I prepared Popsicles with Papaya and Lime.That was a perfect treat to beat the heat.With that recipe,my love with papaya is grown and tried few more recipes at home. 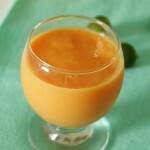 Without talking much more,here is the recipe for Papaya Juice with lime. Remove the seeds of papaya. Scoop the papaya into a blender. Add sugar or sweetener as required. Add juice of a lime into this mix & add water. Serve cold with added ice cubes. 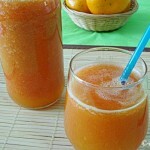 Hi Amila, your papaya with lime look so refreshing and delicious. 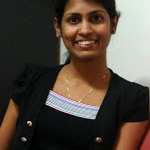 Nice click! Papaya with lime , mus be yummy! very very refreshing and yummy papaya juice looks super yumm !! 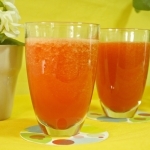 Very healthy and gorgeous coloured juice Amila. Thats a delightful and very refreshing drink. I love the popsicle idea! I’m going to try that. I love this healthy juice! No doubt a good health drink. I wonder if it would be the same taste with the seedless variety. Tried few papaya juries but not vth lime.vl go vth dat next time. 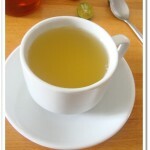 Great simple flavors and its a good de-tox too. 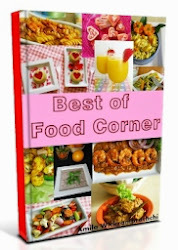 Your recipe was featured on Full Plate Thursday and we really enjoyed it, thanks for sharing it with us! 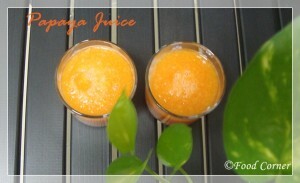 Papaya juice is one of my favorite juices. 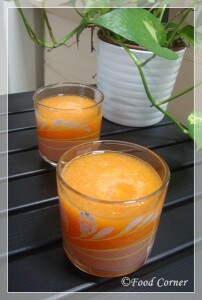 I like to drink papaya juice in my free time. 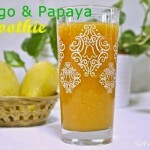 Definitely I will try papaya juice with lime. 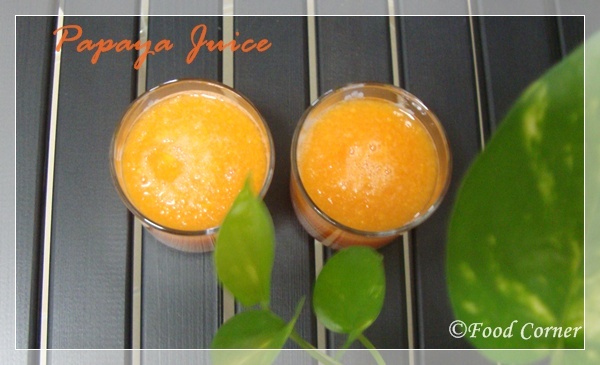 Thanks for sharing such a new juice recipe with us.